Audi R8 Spyder Interior, Sat Nav, Dashboard | What Car? The R8 Spyder’s excellent driving position includes a steering wheel that adjusts for rake and reach, as well as seats that are electrically adjustable, including four-way lumbar and height adjustment. Plus models get figure-hugging bucket seats, but even the standard ones keep you firmly in place through fast corners. It's easy to see out of, too. 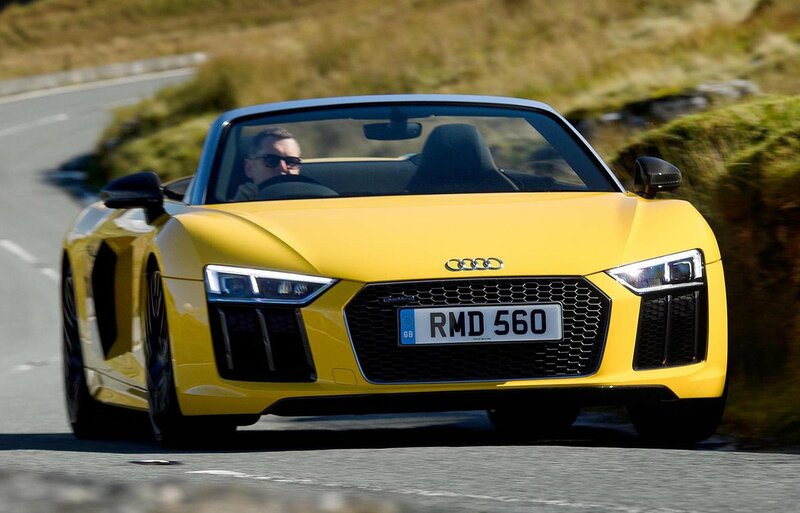 The low dashboard and deep windscreen give you a clear view of the road ahead and, while the rear window is small, the R8 Spyder comes with front and rear parking sensors to help out when manoeuvering in tight spots. You can option a rear-view camera. Bright LED headlights are also standard, which you can upgrade to Laser Lights that offer spectacularly powerful main beams for a clear view ahead at night. 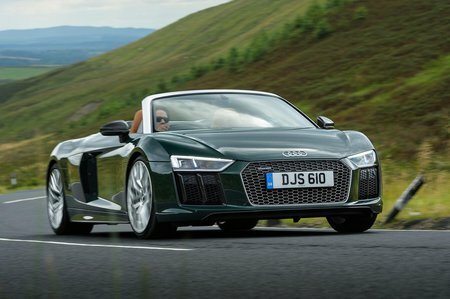 Many of the R8 Spyder’s functions can be controlled from the steering wheel buttons. These include various driving modes, and, if fitted, the sports exhaust, as well as the screen set-ups for the 12.3in Virtual Cockpit display. This sits behind the steering wheel where you’d normally expect to see analogue instruments, but shows digitised dials and doubles up as the infotainment screen. It’s as easy to use as it is in any regular Audi via the rotary controller and shortcut buttons behind the gearlever, with simple, intuitive menus to work through. For a small additional outlay, you can add a smartphone interface that mirrors your phone’s display on to the screen. The rest of the buttons are equally well-positioned and simple to use, incorporated into a design that looks minimalist but modern. Everything feels beautifully constructed and finished with tactile materials including the soft nappa leather on the seats.